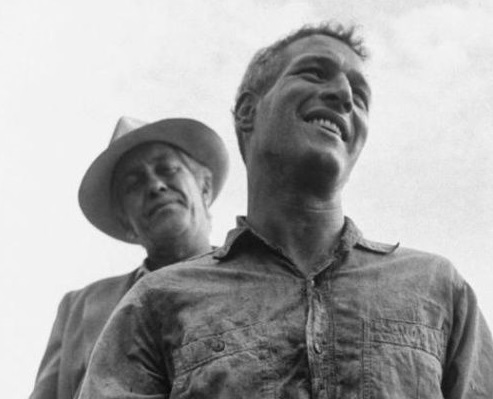 “What we’ve got here is a failure to communicate.” These words, spoken by Strother Martin to Paul Newman in the movie Cool Hand Luke, unfortunately apply to Cleveland Metro Ski Council and to its 23 member clubs. Frequently, we reach out to clubs for requests: officers’ names and email addresses, articles for the Sitzmark, pictures for the website and for our 50th Anniversary Party coming up on November 3, volunteers for open houses and for the Warren Miller movie in Akron, CMSC annual dues, web site and directory content, and other things. Often, we get no response because the email addresses we have are invalid, or, if we have a correct email, information is not returned or the request is not passed on to the person who can respond to us. If you are reading this, please encourage your club officers to provide the list of your officers, trip and race chairs, and webmaster, to secretary@skicleveland.com. In addition, I don’t know how many people have told me they have not seen a Sitzmark since 2016. It is true that to conserve costs, we have gone to an electronic publication; however, you can still visit many of our business partners including ski shops and ski resorts to pick up a hard copy, or ask your delegate to pick up some hard copies at the CMSC meetings (those dates are on our website, Facebook, and Meetup). The electronic copy is also on CMSC’s website (www.skicleveland.com). Your president receives notification along with a link to the Sitzmark when the newspaper is available, which he or she should be forwarding to you as a matter of course (if your email address is registered with your club). We are going to allow you to opt in to receive the email notification of the publication of the Sitzmark by emailing Mike Neibecker at cmscmike@roadrunner.com. We have also provided a dial-in number for two monthly CMSC meeting so that delegates, club officers, and other interested parties can dial in and attend the meeting without traveling to our meeting site. This number was distributed to our email list of club officers and delegates. The first time we did it, we had two guests, CMSC Vice President Krista Petrolla, and CMSC Marketing Chairperson Debbie McCreery. The second time there was radio silence. We are going to continue offering this option, and will improve the quality of the service. We hope we have more response in the future. Our new website is a vast improvement over our old website (if our old website was a foot, our new one would be a mile). We have an interactive calendar of club and council events, have improved graphics, and the site is compatible with mobile technology. Thanks to Debbie McCreery and everyone else who worked on the site. We are continuing training for club representatives who can update our website with your club’s events, pictures, and information. We have also appointed Becky Bertuzzi as Social Media Chairperson. She will work with our webmaster, Judi Fordyce, and with Cynthia Daniels on promoting CMSC and club events. This effort should bring us additional club members, and increased participation in club and council events. As always, you can reach me at president@skicleveland.com. I promise I will not fail to communicate with you. Cleveland Metro Ski Council will celebrate its 50th Anniversary on Saturday, November 4, 2017 at the Mediterranean Party Center in Bedford Heights. The volunteer committee has done a wonderful job setting up an affordable event with dinner, drinks, and a live band. Details on this event can be found elsewhere in this Sitzmark. I hope to see you there. I will be heading to Sun Peaks, B.C. in September to attend the annual National Ski Council Federation’s annual meeting. I will report on the latest information affecting ski clubs in the next edition of the Sitzmark.